The Official Miami FC Youth Away Jersey for the 2019 season. Miami FC official design by Macron. 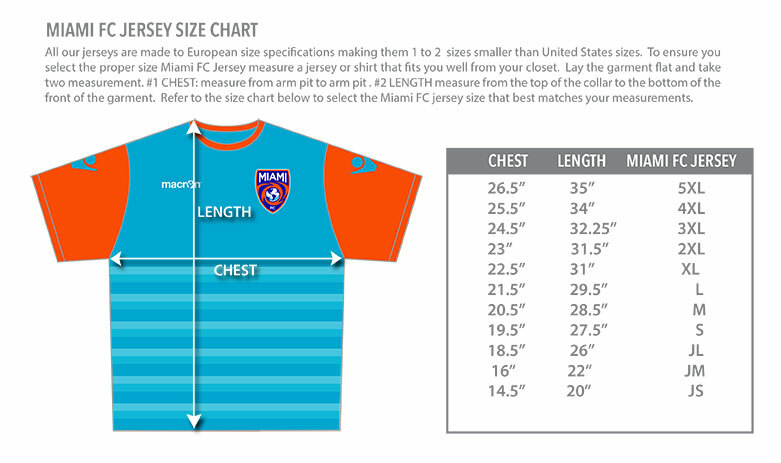 This Miami FC 2019 Youth Away Jersey is a blend of orange and dark blue horizontal stripes and The Miami FC crest over the left side of the chest. This jersey is short sleeve.